Description: watercolour on art paper circa 1940's, image 26"x18", in frame 32"x24", signed in corner Joseph Purcell, painting yellowed somewhat by light but detail still very clear. 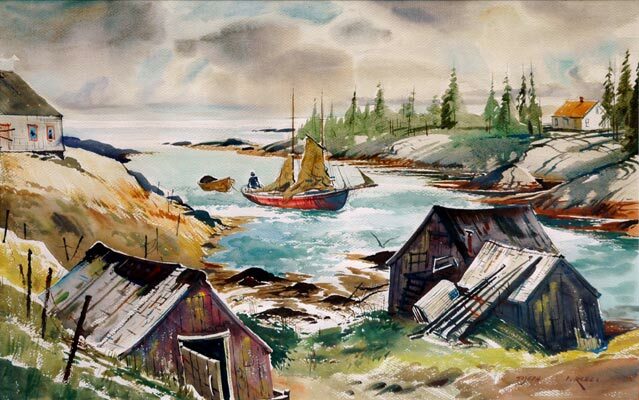 Purcell remains one of Nova Scotia's best known and best loved artists. His art captures the N.S. rural life by the sea.